A plotless, pointless, episode-length action scene. ...An episode of Yu Yu Hakusho crossed with an '80s-era side-scrolling video game. 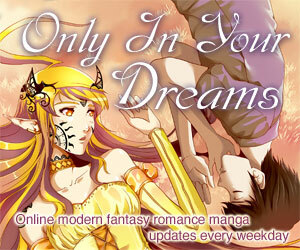 Koenma, king of the spirit world, has been captured, and it's up to Yusuke and friends to save him before it's too late. Two important facts about YuYu Hakusho: The Movie: One, if you're already a Yu Yu Hakusho fan, then you should have fun--it's more or less an action-packed episode of the TV series with a slightly higher budget. Two, do not confuse it with the other Yu Yu Hakusho Movie (Poltergeist Report, from US Manga Corps). Both are based on the same huge franchise, but where Poltergeist Report is a high-budget film that can even be enjoyable to the uninitiated, this is neither. YuYu Hakusho: The Movie is only a half hour long, has absolutely no explanation of who the characters are, no character development, and the plot can be summed up by "The king of the spirit world has been captured! We must save him before the bad guy drops him in lava." If that sounds like the 10-second-plot of an '80s-era side-scrolling video game, it should; YuYu Hakusho: the Movie feels like one in almost every way. There are three different stages that a collection of characters must rapidly fight their way through before time runs out, and they beat up a couple of ugly bosses along the way. Even the visuals have the garish coloring of an 8-bit game. 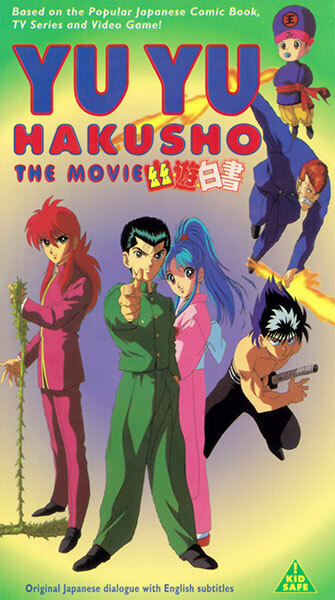 If you're not already a Yu Yu Hakusho fan, "The Movie" is 30 minutes of repetitive action (and some comedy) involving a bunch of characters that you've never seen before doing rather strange things. The only background you'll get is off the back of the box, there's no plot, and it's short to boot. About the only thing worth mentioning is that there is a whole bunch of supernatural action, but it's nothing but a pass for non-fans. As for those fans... well, lots of action. Period. Was originally shown as part of a triple-feature with two other short TV-series-based movies. Available in North America from AnimeWorks on hybrid DVD as a double feature with Ninku: The Movie. Was originally one of their first releases on subtitled VHS. Yu Yu Hakusho: The Movie is Copyright © Shueisha - Fuji TV - Studio Pierrot. Any images are the property of their respective rightsholders, and included for review purposes only under the fair-use clause of US copyright law.